But, I was excited to share/chat with you about some new items in the shop, the family of the month, and the sponsors for September. 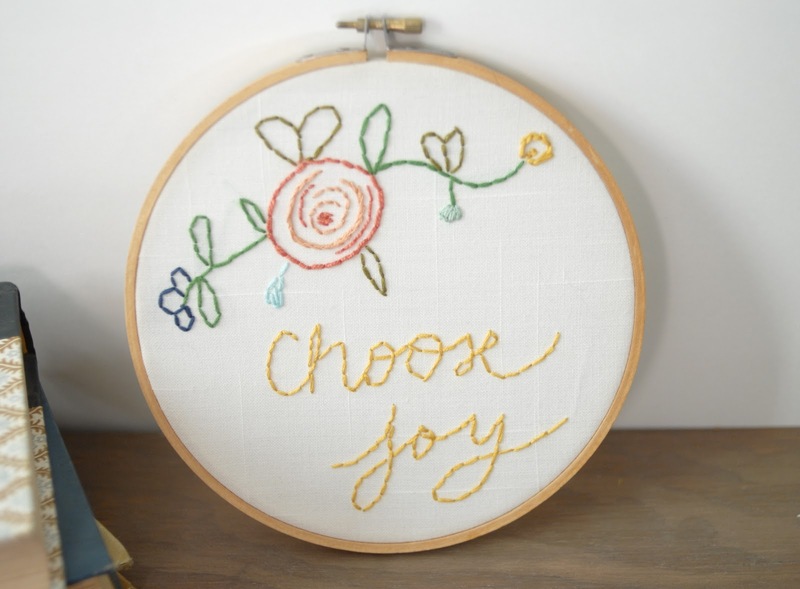 First of all, I just listed three new hoops and I adore them. Want to see? Remember that 25% of each sale goes to the family of the month! Have you met them? Go watch their story! If you haven't noticed, I've got two lovelies on the sidebar this month--Babe Blessings and Texas Lovebirds. They are both such encouraging and sweet ladies; you should meet them! Anyways, I'm off to do the dishes. 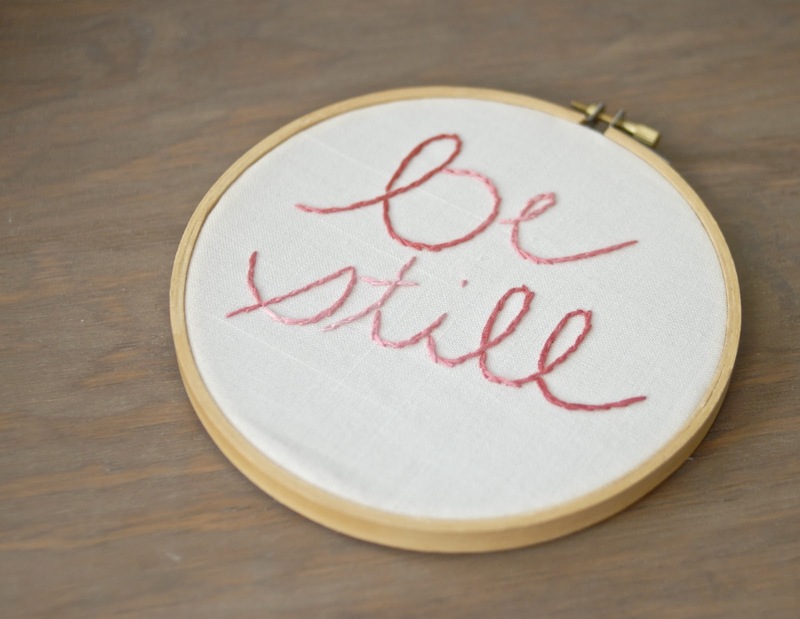 LOVE your "be still" hoop. 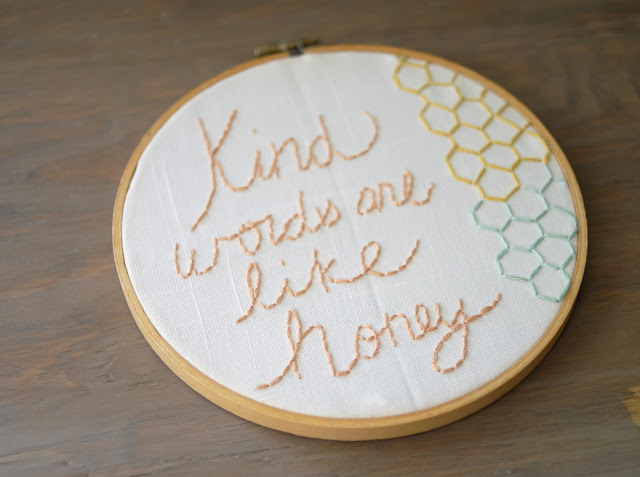 The "kind words are like honey" is beautiful too!